There are people around you, who give off the impression of having complete control of their lives. It seems as if they were basically born with the knowledge about every aspect of their life including job decisions. These people are fully aware of their unique selling points and fortes. They know exactly what they want and where to get that from. Research shows that job hunting is indeed a strenuous activity. However, deciding upon a career for yourself appears to be the single most complicated decision of this entire process. First off, breathe. You need to clear your mind of all the negativity keeping you from landing upon the best career option to fit your abilities. You are definitely not alone in this one and having to go through this job hunting process is probably the best thing that ever happened to you. You can start from anywhere and everywhere. The world is you oyster and you have the opportunity to make most of your potential and that too, in the best possible direction. The sheer idea of searching for a job can be quite intimidating for just about anyone. The ambiguities increase even further if you are uncertain about the direction as well. However, this offers you a valuable opportunity of considering all possible job endeavors. The process requires both your time and best efforts. You have to go through the trouble of stalking just about every company of your interest followed by consistent sending out of applications for online job vacancies. Your search to finding the perfect employment is an exhausting job on its own. Your dream job is definitely out there and all of your hard work is going to pay off once you land the opportunity. 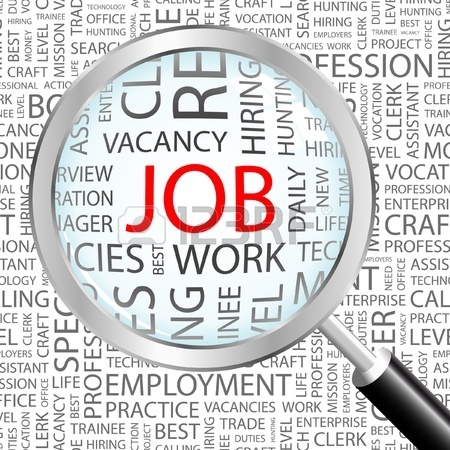 There is no specific way of determining the best approach to finding employment. Some are of the opinion that online job search engines are the most efficient means of finding job vacancies fitting your skills. On the other hand, there are those who firmly believe in the power of specific degrees and the idea of tapping market opportunities. Unemployed individuals are definitely not the only ones in search of job opportunities. From unsatisfied employees to individuals looking for part time jobs in hopes of financial stability, there are numerous reasons contributing to the increasing saturation of market. With such intensified competition, what is it that can help you most in your job search? The idea of networking can be daunting for the introverts amongst you lot but there is no way of denying its value in the job industry. An extended network is regarded as the most valuable resource in today’s high paced world. From your friend and relatives to your acquaintances and contemporaries, every interaction counts. Wondering what makes networking superior? Basically majority of job vacancies are never actually subjected to advertisement. Word of mouth is the most reliable source in such cases and this is where your networking skills kick in. Do not confuse networking with aggressive self-promotion rather think of it as relationship building. Never underestimate the power of human connections. From hiring an employee to promoting one, each decision is highly influenced by human relationships. Merely applying for jobs through resume submission is not going to get you any speedy results. You have a long shot, if any, at getting in through such limited interaction. Do not focus your energies on work positions rather concentrate on human contacts that can gain you access to them. The inclusion of internet in just about every activity has broadened job searching mediums for all you unemployed folks out there. Your responsibility is to try out every possible outlet. Do not limit yourself to networking or print media. Internet is your single most powerful source when it comes to research. Globalization has led to ease of access to so much more than you could possibly fathom. Enter the world of opportunities and make most of your time. The internet is loaded with job listings of all sorts. You might even come across career options that you were unaware of, your entire life. Job sites have been created specifically to cater this need. These websites offer a range of various career options and job vacancies. These are constantly updated and therefore offer you information about the latest opportunities up for grabs. From online jobs to part time offerings in your locality, anything can be found on the internet. Job search engines such as LinkedIn serve the purpose of networking online. It regarded as an effective job seeking tool. Companies search such platforms to find a match fitting their job requirements instead of opting for public advertisement. Your LinkedIn profile offers job providers the chance to review your skills and capabilities along with your career history. Companies screen job applications using such search engines. If you don’t already have one, it is important that you create a LinkedIn profile in order to make most of your networking skills. It allows you access to knowledge about various job openings with different degree requisites. You ought to seek benefits from job seeking tools such as this in order to stand firm in this increasingly competitive job market. LinkedIn offers you a unique job search application that can be downloaded on to your smart phone. It is high time you fully utilize your technology for your benefit. Education is a prerequisite for your career prospects. Those who major in specific fields are preferred. At the very same time, many renowned companies keep an eye out for individuals with multiple talents and skills. They are looking for graduates who have the experience and skill to perform various challenging tasks simultaneously with their specified job work. Your college degree offers you a competitive edge in the market. The kind of institute you choose to graduate from tends to play an important role in landing you a job as well. The good news is that there is no ending point to your education. You can always get a degree you find interesting and pursue a career in it. The highly intense market competition has led to saturation in just about any field but there are certain career options that never run out of demand. Business related career options are not only versatile but also lucrative. With the integration of internet in every other thing, IT career options have broadened extensively and there is an unending demand for professionals with IT skills and education. Individuals who chose to work right after their Bachelors limit their growth in the corporate world. The promotional advancement of graduates with limited Bachelor degrees is incomparable to those with advanced degrees of Masters and PhD. You can surely get a job without a Masters degree based on your skills and abilities. However the top management will then become untouchable for you due to your educational limitations. A Masters degree allows you the liberty of changing your career direction. Masters in Business Administration is a widely sought after degree. Not only will it land you a better paid job but you will be able to witness growth in your career as well. Your MBA degree is going to provide you that extra nudge to move up the career ladder at a faster pace. MBA degrees specific to fields of Marketing and Finance are more in demand compared to other specialties. Individuals with MBA degrees are preferred for top management positions. Your salary cannot be determined solely on the basis of your degree. Your job description and the business school you get your degree from can influence it as well. For instance, graduates from Harvard Business School have an average starting pay of $134,000 where as graduates from Arizona State Business School, usually start off at a monthly wage of around $72,000. If you have a knack for technology and computer software, then information technology is the perfect career option for you. The best part about field of IT is that a degree can be acquired at any point of your life. There are various types of certifications available in this diverse subject to enable you specialized set of skills in particular tasks. IT professions are extremely high in demand. Professionals in software development are highly sought after in the corporate world. Not only are companies dependent on IT professionals for smooth operations of their entire systems but their specialties are required all over the internet as well. A degree in IT will enable you to tap in a much larger job market. You will be able to take up private and public projects of high value. Try to specialize in a particular field in order to generate demand of your specialized skills and to reduce the competition. You must choose a career option that truly calls you. IT can only be profitable to you if you have genuine interest in this particular field. Your job search should not revolve around specific positions rather you should be focused on finding people with similar interests and mind sets. Your unique approach and personality is going to attract companies with similar goals and visions. A Step-by-step Guide To Finding A Great Job, Written By A Leading Careers Expert. How To Use Linkedin To Find A New Position.